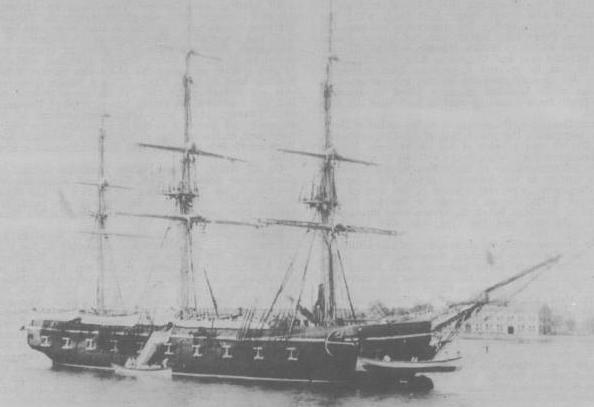 Type and Characteristics - Sailing sloop, built by Portsmouth Navy Yard, NH, laid down summer 1841, launched 26 July 1842, commissioned 4 January 1843, 882 long tons, 146ft long, 35ft 3in beam x 16ft 3in draft, armed with 4-8in shell guns and 18-32pdr cannon, 210 crew, first commanded by Commander Josiah Tattnall. Log Period and Areas of Service - 1852-53, East India Squadron, Perry's Expedition to Japan. 12 August 1850 - Recommissioned. 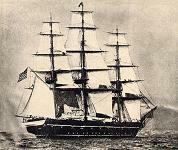 15 September 1850 - Sailed for western Pacific and service in the East India Squadron. 8 July 1853 - Entered Tokyo Bay with Commodore Perry's squadron on his first visit. 11 February 1854 - After protecting American interests at Shanghai, entered Tokyo Bay for the second time with the squadron. 31 March 1854 - Sailed with the American copy of the American-Japanese Treaty for Honolulu. 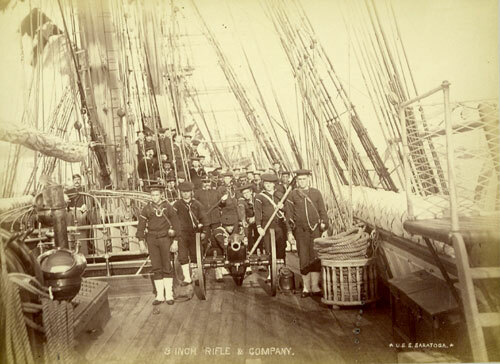 Fate: Decommissioned 8 October 1888, loaned to State of Pennsylvania between 1890 and 1907 as marine school ship in Philadelphia. Sold 1907.